British, Dutch foreign ministers urged EU nations Friday to impose sanctions on the military wing of Hezbollah for providing support to Syria’s President Bashar al-Assad. The European Union has long resisted pressure from the Zionist entity and the U.S. to list Hezbollah, with many member states saying it was important to keep lines of contact open to a powerful organization in the Lebanese politics. “It is necessary to move on that. I think we’ve taken action on that in the U.K. and I would like to see the EU designate and sanction the military wing of Hezbollah,” UK Foreign Minister William Hague said on his way into an EU foreign ministers meeting in Cyprus. Dutch Foreign Minister Uri Rosenthal said the European Union should brand Hezbollah a terrorist organization, a move that would enable the bloc to freeze the group’s assets in Europe. “We have for quite some time now argued that effective European measures should be taken against Hezbollah,” Rosenthal said on the sidelines of a meeting of EU foreign ministers in Cyprus to discuss the EU’s response to the Syrian crisis. The U.K. lists Hezbollah’s military wing as a terrorist group. The Netherlands, like the U.S., lists the group but doesn’t distinguish between its military and political wings, despite the fact that the party of Resistance to occupation is a member of the Lebanese government. But other EU member states, which have blacklisted the Palestinian Islamic group Hamas, have resisted U.S. and Zionist pressure to do the same to Hezbollah. The Hezbollah issue has long divided European capitals. When the George W. Bush administration pushed Europe to list Hezbollah in 2005, a number of countries, led by France, opposed it. The issue hasn’t been seriously addressed since then. Several EU countries have argued that such a move could destabilize the balance of power in Lebanon and add to tensions in the Middle East. Some European diplomats say it would also be legally difficult to blacklist Hezbollah without a court ruling in an EU state that linked the group to terrorism. “Until now the Europeans have said that to designate a group as a terrorist organisation you have to have a judicial process under way against this organisation, which is not the case at the present time,” said French Foreign Minister Laurent Fabius. 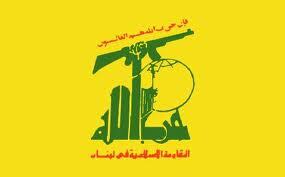 Hezbollah, the Lebanese party of resistance, was set up in 1982 to fight Zionist forces which had invaded Lebanon. If it weren’t for the military wing of Hezbollah, the Lebanese land wouldn’t have been liberated in May 2000, and Lebanon wouldn’t have gained victory in the July 2006 war which the Zionist entity launched against it. Once again the interests of Israel take pride of place in American politics. This time at the Democratic Convention recently held in North Carolina, when the Mayor of Los Angeles decided to take it upon his ears, alone, to judge whether or not the delegates agreed with instating or reinstating a contentious piece of party policy which accepted Jerusalem as being the capital of Israel. It really doesn’t matter who wins the upcoming Presidential Election. Either way the American people and the rest of the world will lose. In the US state of Illinois, the Chicago Teachers Union is planning on going on strike and staging a walkout in demand of higher pay and job security. The union says it plans to open its strike on Saturday and stage its walkout on Monday, the Associated Press reports. However, the union and district officials in the country’s third most-populated city say they will negotiate with the administration of Mayor Rahm Emanuel to see if the walkout can be avoided or not. Monday will be the first walkout strike by Chicago teachers in 25 years. Last Monday, thousands of union workers gathered in Chicago’s Daley Plaza in support of the city’s teachers union. This comes after several rounds of negotiations, which have failed to result in a solution to the demands of teachers. According to a report released by the White House, as a result of state and local budget cuts, the US has slashed more than 300,000 education jobs since June 2009. The bizarre sequence of events that followed was and remains in public view, thanks to C-span and YouTube videos (e.g. http://youtu.be/bjdj6K3yoR8 ). These clips are hilarious to view – if one likes tragicomedy. Villaraigosa calls on the Chair of the Platform Drafting Committee, former Ohio governor Ted Strickland. Strickland moves that the rules be suspended to permit an amendment to the platform. On the one hand, it’s deeply unpleasant to watch manipulation unfold, and obvious lies win the day. For anyone who believes that votes should be fair and processes honest, it’s disturbing to see the opposite take place in one of our country’s major institutions. Considerably worse is the fact that it’s this kind of political corruption that contributes to the extraordinarily small voter turnout of our citizens. In 1787, following the Constitutional Convention, Benjamin Franklin said that the months-long, hard-fought convention had given us “a republic, if you can keep it.” Villaraigosa and those who tell him what to do – and the rest who go along – are grinding this under foot. While the media, both liberal and conservative, consistently give us Israel-centric coverage, and while party bosses make it clear that favoring Israel uber alles is the way to get ahead, at least half the delegates rebelled. We’re tired of power brokers running roughshod over what we want. And if in this election we choose to “throw our votes away,” as party cheerleaders scornfully call it, on candidates who would end our serial, suicidal wars and stop the killing of children – thus saving the lives of our own as well – then I feel we will have a shot at a future election in which we aren’t once again expected to choose between a proven war criminal and a competitor who might, astonishingly enough, be even worse. Alison Weir is President of the Council for the National Interest and Executive Director of If Americans Knew. Qatar will inject $18 billion worth of investments into Egypt over the course of the coming five years, Hamad Bin Jassim, the oil-rich gulf state’s foreign minister, said at a press conference in Cairo on Thursday. Of the pledged investment, some $8 billion will be allocated to electricity and natural gas projects in areas east of the Suez Canal, where Egypt has longstanding plans to build a massive industrial city. Another $10 billion will go to a planned tourist resort on Egypt’s north coast. In yet another indication of new found warmth between the two nations, Egyptian President Mohamed Morsi met with Bin Jassim following the latter’s arrival to Cairo on Thursday. In early August, Qatar pledged to deposit $2 billion in the Central Bank of Egypt (CBE) as a means of easing the country’s balance-of-payments deficit. The promise was made following a visit by the Emir of Qatar, Sheikh Hamad bin Khalifa Al-Thani, to Egypt, where he too met with Morsi. Later in August, Qatar deposited the first tranche – worth some $500 million – in the CBE. Egyptian Prime Minister Hisham Qandil, for his part, said at a Thursday press conference that Qatar would transfer the rest of the pledged $2 billion in three installments within the next two-month period. In 2011, Qatar had said it would provide Egypt with a $10 billion grant, with which to support Egypt’s post-revolution economy, but only ended up disbursing $500 million later in the year. Qatar’s name has begun to resonate among Egyptian business circles, with Qatar’s National Bank recently offering to buy a controlling stake in National Societe Generale Bank, one of Egypt’s largest private lenders.